I was reading in Daniel in preparation for the fast and this struck me. I thought I’d share it with you and get your thoughts. Daniel decided, IN ADVANCE, that he would not go against the convictions that God had put in his heart about eating from the King’s table. He didn’t wait until the food was set before him. That’s basically what I’m doing. I’m deciding in advance that I won’t eat anything for the next 21 days except fruit, veggies, or nuts. I will not be drinking anything but water. This reminds me of certain sins that seem to plague us. Satan knows our weaknesses and he knows where and when to hit us. It seems to me that the key is to decide IN ADVANCE that you will stand up, in Christ, to the temptation. Don’t wait until the temptation that plagues you is looking you in the face. Pray about it, confess your weakness to a trusted believer friend, and if possible, remove the stumbling block completely when you are strong. When Cortez landed in Mexico, he feared that his men would grow tired of the journey and want to return home. Maybe they would turn against his leadership and force a return. 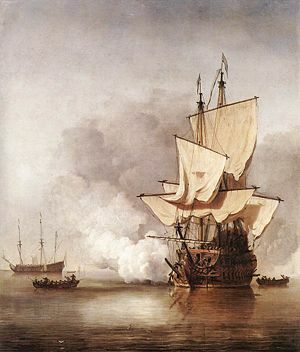 As soon as they set foot on Mexican soil, he ordered then to “Burn the ships!” There would be no way to turn back now. Regarding the fast, there’s no turning back either. If twinkies are your weakness, feed them to your dog. Give them to your neighbor. Throw them away. Whatever it takes, just get them out of the house. Don’t make it easy for you to eat one in a moment of weakness. The same principle with sin applies. If you are prone to a specific sin, the time to “burn the ships” is when you are strong. Do whatever it takes to remove the barrier that is harming your relationship with God. When you “burn the ships,” God can speak to you because you are more prone to listen to Him. Maybe that means confessing to a brother or sister. Maybe you have to get rid of something that no one knows about except you and God. Maybe there is a relationship that you need to end. You know what it is that God wants you to do if you belong to Him. Burn it to the Ground, then go for it. Let’s do this! Have you ever felt God telling you to “Burn The Ships”?